Our Q&A with March speaker, Kelsey Noonan, who will be talking on the topic of Courage. Kelsey Noonan is passionate about the design of innovative, user-focused solutions to some of the world’s biggest problems. Kelsey is an expert in behavior change for social good - combining deep insights into community and individual behaviors with the analysis of big-data to inform health and development programs. As the Director of Andara Strategies, she serves as a strategy advisor to philanthropists, non-profits and social-impact focused startups. 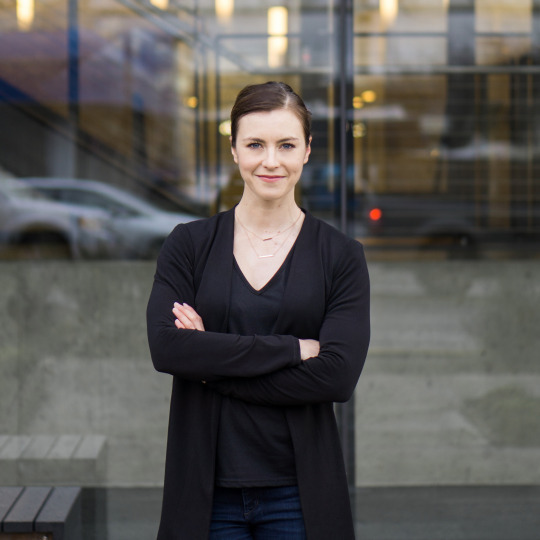 Prior to moving to Seattle, Kelsey spent half a decade working in war-zones. She has briefed NATO generals on the needs of communities in Afghanistan, partnered with UN agencies to expand access to food aid in South Sudan, and managed refugee programs in Syria. On the weekends, Kelsey moonlights as a big mountain climber and skier. She partners with leading outdoor brands to promote the conservation of wild places as well as greater diversity in outdoor sports, and she is happiest in alpine environments. [Kelsey Noonan (KN)] While a creature of routine myself, I think creativity is the ability to hold space for the disruption of patterns, rote behaviors, and conditioned responses. It’s so easy to fall into daily patterns that aren’t terribly efficient and to fail to evolve with changing life circumstances. In my career, I look for behavioral insights into why we make those choices, but I also make space for “disruptors” – including new music, literature and people, that can challenge my choices and inspire change in myself. [CM] Where do you find your best creative inspiration? [KN] I balance an office job with a lot of time in the mountains. I find that covering distance on trails, thinking while moving, allows for new thoughts and ideas to surface. When living overseas in places like Afghanistan, I didn’t always have easy access to the internet or social media to fill downtime, and I find that weekends “unplugged” outdoors provides that same creative space. It becomes necessary to turn inwards for inspiration and generative thinking, which is hard to replicate in our typical tech-enabled lives. [CM] What’s the one creative advice or tip you wish you’d known as a young person? [KN] Sometimes childhood daydreams will manifest as an adult in the most amazing real-world ways. As a kid I lived inside books, and particularly loved books with knights, dragons and swords. As an adult, I recently climbed Dragontail Peak in a mountain range called the “Enchantments,” with some sword-like ice axes. I think my 10-year-old self would have been thrilled that I could bring those imaginative stories to life in such a different but relevant way. [CM] Who would you like to hear speak at CreativeMornings? [KN] Priya Frank - ‎Associate Director for Community Programs at the ‎Seattle Art Museum, and all-around amazing human being. [CM] What are you reading these days? [KN] I just finished a book about the daughters of Genghis Khan: “The Secret History of the Mongol Queens” by Jack Weatherford. It challenged a lot of what I had learned about Mongols in history class, and it was an absolutely fascinating window into a part of the world I don’t know very well. [CM] What’s the craziest thing you’ve ever done? [KN] South Sudan, where I used to work, has an incredibly high concentration of venomous snakes, to such an extent that snake-bites were categorized as an “office hazard” because they would frequently be found inside buildings and under desks. I was so afraid of being bitten, or having one crawl up the leg of a chair, that I spent a full six months working while sitting cross-legged on a rubber yoga ball to avoid having my feet on the ground!